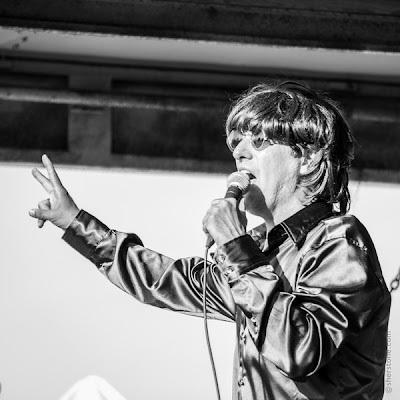 He grew up dreaming of being Elvis, but Johnny Vallis made a name for himself in showbiz by impersonating another rock legend - Buddy Holly.Vallis, spent many years paying homage to Holly, as part of the three-person (Holly, Elvis and Roy Orbison) Legends of Rock and Roll show. "It was 'the show they never gave,'" said Vallis. Vallis, admits that fate played at least a bit part in his career path, although even as a preschooler, he knew he wanted to be a professional entertainer and musician. "In my Grade 1 annual, it said, 'I want to be Elvis when I grow up,'" Vallis said "Not I wanted to be 'like' Elvis. I actually wanted to be Elvis. There was never any hesitation that I didn't have the chops. "Despite his early interest in music and goal of becoming a performer, Vallis says he isn't entirely sure what sparked that interest.Vallis said he wasn't especially good at sports, and simply gravitated to music from early on. "I just wanted a guitar and wanted to play," he said. "I liked the attention. Anybody who gets into this business, it's because they like the attention. "At age 11, in his native Toronto, he earned his first paid gig, a three-song set at a Mexican restaurant. Two years later, as a gangly 13-year-old, he won his first long performance run - a six-month gig impersonating Elvis at Expo 86, in Vancouver.It was there he met another Elvis impersonator - Randy Friskie - who told Vallis he was more suited to Buddy Holly than 'the King,' because of his tall, slender stature. Indeed, Vallis does bear a striking resemblance to Holly, even before he puts on glasses similar to Holly's trademark horn-rimmed specs.Vallis played out his six-month run on False Creek, then moved to Victoria in 1987. He worked on his Holly impersonation, and earned a job playing at a downtown restaurant.It was there that he was "discovered" in January, 1989, and signed to play Buddy Holly with the Legends of Rock and Roll. Ironically, the show's Elvis was none other than Friskie, who had advised Vallis to think about impersonating Holly two years earlier.Just 16 when he joined the show, Vallis spent the next nine years touring throughout North America and all over the world.He cites a 1996 tour of Australia, which involved 66 shows in just over two months, as well as an impromptu performance for the king and queen of Malaysia, as his favorite. 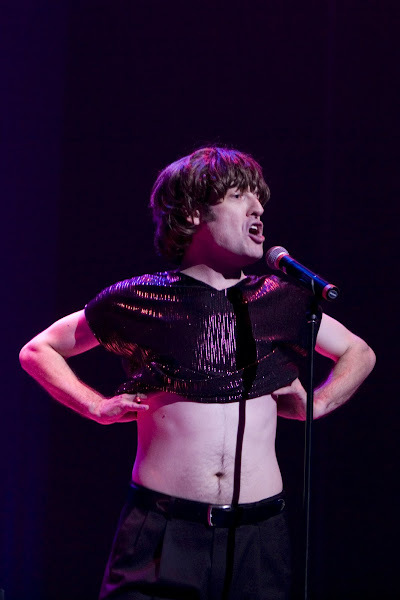 "If you want to stay in a career, you've got to be willing to try something new," Vallis said.His own Man of Many Voices musical comedy show, however, wasn't entirely new.The show involves impressions of Mick Jagger, Louis Armstrong, Dean Martin, Garth Brooks, John Lennon, the Bee Gees and Gordon Lightfoot, among others - voices that were perfected during sound checks for Legends shows.Vallis's performances also involve a healthy dose of G-rated comedy, but Vallis says his main focus remains on the music. "It's musically based, because my life has been music," he said, going on to describe his act as 'Vegasy type' impersonations. "I'm a singer first and a comedian second - unless you don't like my singing, then I'm a comedian first and a singer second," Vallis quipped.While he plays everything from summer festivals to office parties and conventions, Vallis has also played some big venues such as the Grey Cup. Getting to meet and occasionally perform with big name celebrities has been a perk of his career choice, says Vallis. 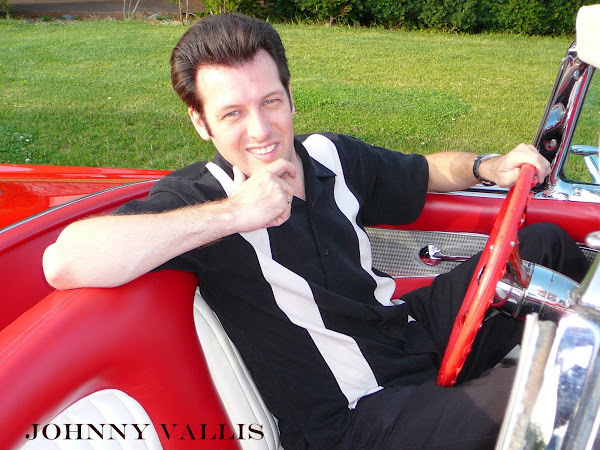 He's had opportunities to meet an array of entertainers, from Mel Torme to Ronnie Hawkins, Tommy Sands, Frankie Laine to Randy Bachman.It's not just the celebrities he meets, however, that impress Vallis. "That's the fun part, the people you meet," he said. "Whether they're stars or ordinary people."